We offer a wide range of nail services from the standard manicure and pedicure to Lacquering Gel and hot oil treatments! Scroll down to view all services on offer and feel free to get in touch for advice on the best treatment for you. All our manicures and pedicures are carried out using the Faby M2 Manicure and Pedicure range, with our gel varnish treatments using Faby Lacquering Gel. All Faby lacquers are 10-FREE (free from formaldehyde, toluene, DPB, camphor, formaldehyde resin, ethyl tosylamide, THP, acetone, parabens and lead) and always have been, guaranteeing quality. Their Lacquering Gel is also the world's first and only soak-off gel which is TPO free (Trimethylbenzoyl Diphenylphosphine Oxide). Capturing the essence of Italian style, international nail brand Faby provides consumers with 'A taste of Italy', with their luxurious range of nail products and traditional and innovative ethos inspired by Italian culture and fashion. We have now introduced a second line of fabulous gel varnishes to our service menu - the gorgeous The Gel Bottle Inc. All TGB products are 10-FREE (free from formaldehyde, toluene, DPB, camphor, formaldehyde resin, ethyl tosylamide, THP, acetone, parabens and lead) 100% gel formulas. The Gel Bottle Inc gel polishes are rich, highly pigmented, chip-resistant and offer extreme long lasting shine. 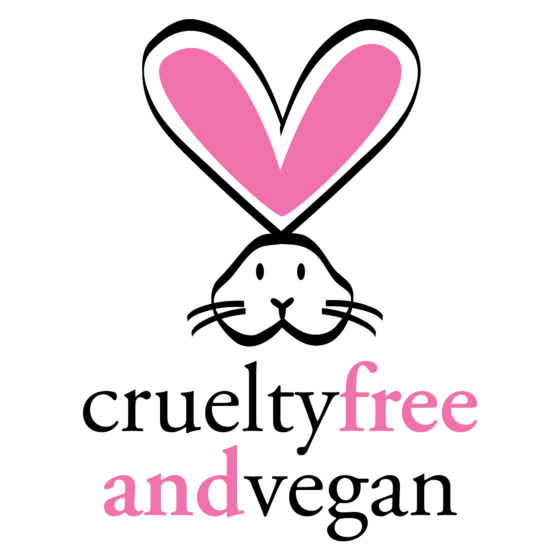 All of Faby's products have met the standard of PETA (People for the Ethical Treatment of Animals) to be certified vegan and cruelty free. All The Gel Bottle Inc products are also cruelty-free and vegan-friendly. Oh, and we never charge extra for French polish! Mini Manicure - Nail and cuticle tidy followed by moisturise. No polish. Manicure - Finger soak, nail and cuticle tidy, massage and polish of choice. Deluxe Manicure - Finger soak, nail and cuticle tidy, exfoliation, mask with thermal mitts and massage. Polish of choice. No Paint Pedi - Foot soak, nail and cuticle tidy, hard skin removal with MicroPedi, exfoliation and moisturise. No polish. Pedicure - Foot soak, nail and cuticle tidy, hard skin removal with MicroPedi, exfoliation, massage and polish of choice. Deluxe Pedicure - Foot soak, nail and cuticle tidy, hard skin removal with MicroPedi, exfoliation, mask with thermal booties followed by massage. Polish of choice. Pedicure with Lacquering Gel - Nail and cuticle tidy followed by your choice of gel colour. Hard skin removal with MicroPedi, foot soak, exfoliation and massage up to the knee. The beauty of gel is that it will not chip, smudge or flake, and there is zero drying time. Perfect for holidays! Please note that nails must be free of gel / acrylic etc before coming for a gel nail treatment. We will not remove or carry on from another technician's work. Please be understanding of this. Buy your home soak off kit here for just £9.99! Nail Embellishments - From decals, to gems and even glitter..
Lacquering Gel - Available for fingers or toes. Nail and cuticle tidy followed by your choice of gel colour. Lacquering Gel with Pedicure - Nail and cuticle tidy followed by your choice of gel colour. Hard skin removal with MicroPedi, foot soak, exfoliation and massage up to the knee. Lacquering Gel Plus - Gel with a twist! Who wants plain nails when you can have fun? Leopard print, polka dots...or even a few embellishments! Whatever your heart desires. SO.. What is Faby Lacquering Gel? Quite simply - the gel that goes on like a polish! Faby's Lacquering Gel is a gel varnish that protects the nail and promotes healthy nail growth. Cured in just 45 seconds with an LED light, it is immediately dry and does not chip, smudge or fade for 2-3 weeks on fingers and 4-6 weeks on toes! Curing so quickly, this means it takes no longer than having a normal manicure, and will be completely dry! This product is also the world's first and only soak-off gel which is TPO free (Trimethylbenzoyl Diphenylphosphine Oxide). We have over 40+ different colours for you to choose from, including French, and can incorporate diamantes and decals from as little as 20p each. As strong as overlays, but as easy as polish! The Gel Bottle Inc gel polishes are rich, highly pigmented, chip-resistant and offer extreme long lasting shine. The good news doesn’t end there because we are also VEGAN, CRUELTY FREE and 10-FREE (our products don’t contain formaldehyde, Dibutyl phthalate, toluene, formaldehyde resin or camphor). Lasts 2-3 weeks on fingers, 4-6 weeks on toes! We also have some stunning glitters available in this range. The Gel Bottle gel varnish treatments are the same price as Faby Lacquering Gel treatments as detailed above.